English reading practice is very important if you want to improve your English reading skills. This section contains articles on different subjects for you to read. Each article has contains an exercise too. Pick an article and start reading! Make sure you use a good dictionary to check the words you don't understand. Do the exercise for that specific article. Move forward to the next article! Videos, stories and exercises on the 30 human rights. For example: The Right to Life, Freedom of Thought, Freedom of Expression, and others. A video and story to illustrate each right. Videos, stories and exercises on the 21 principles of The Way to Happiness. It is a common sense guide to better living which has been distributed to more than 100 million people in over 100 languages. It describes 21 principles to a better quality of life. For example: Love and Help Children, Respect the Religious Beliefs of Others, Set a Good Example, Be Worthy of Trust, Safeguard and Improve Your Environment, and others. A video and story to illustrate each principle. Videos, stories and exercises on common drugs and their dangerous hidden effects. Articles and exercises about the countries of the world. What is special about each country? What is its history? Interesting stories and inspiring leaders from around the world. Reading practice on diverse topics and different comprehension exercises, with an emphasis on collocations. Here is an example article. It is about the African country Morocco, and a beautiful story of its people. Morocco is a country in Africa. It is the most northwestern country. It borders the Atlantic Ocean to the west and the Mediterranean Sea to the north. It borders Algeria to the west. Folk stories are a very important part of Moroccan culture. These are stories that tell about the beliefs, traditions, and history of Morocco and the Moroccan people. From these stories, listeners can learn a lot about Morocco and what is important to Moroccans. "Folk" means people from a particular country who have a certain way of life. There are many Moroccan Folk stories that are still told throughout Morocco today. These stories each teach lessons and give an insight to Moroccan culture. An "insight" is an understanding of something. Many Moroccan folk stories have similar themes.  A "theme" is an idea or topic that repeats itself. 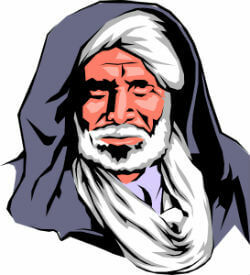 Travelling is an important theme in these folk stories as are animals, Islam, family, and respect. The stories always feature (talk about) the landscape of Morocco from the deserts to the mountains and the cities. 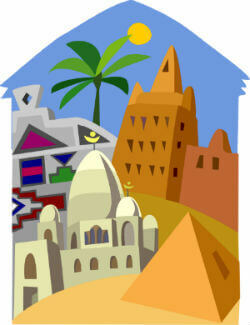 Water and housing are also very important themes in Moroccan folk stories. This is probably because both water and housing are hard to find, yet very important, in the desert. One of the most loved Moroccan folk stories is called, "The Girl Who Lived With Gazelles." The story involves many of the themes typically used in Moroccan folk stories including family, Islam, animals, respect, and the desert. There was once a young girl who lived with her father in the city. The father went away on a business trip. When he came back, the city's priest, who was a bad man, told him an evil lie about the girl. Though the lie was not true, the father believed the priest and banished the girl to the desert. "Banished" means sent away forever. In the desert, the girl was adopted (taken care of) by a herd (group) of gazelles. 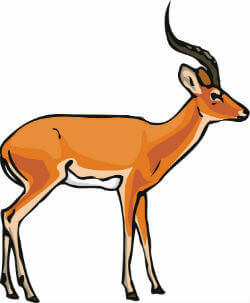 A "gazelle" is a kind of animal similar to a deer or horse. She lived with the gazelles for many years. One day, a handsome prince came by and saw the girl. The two fell in love and got married. Together, they had a son. However, the prince's advisor was jealous of the love between the prince and the girl. Because of this, he stole the baby. The girl was so upset and frightened (scared) that she ran away to a village nearby. There she wore a man's cloths and found work. Many years later, the village was holding a hunting competition. The girl's father, the priest, the prince, and the advisor were all there. The girl recognized them (knew who they were), but they did not recognize her. At the competition, the girl stood up and told her life story to the crowd. Everyone immediately recognized her. They understood she was telling the truth! The girl, the prince, and her father were all happily reunited (brought together again). The priest and advisor were banished to prison. They soon learned that the son who had been stolen was actually living in the village. The girl and her husband, the prince, were then reunited with their son. The prince was so happy that he passed a law that said that hunters could not hunt (kill) gazelles. From that day on, the gazelles were protected from harm. 1. What does "insight" mean? 2. What does "theme" mean? 3. What does "banished" mean? 1. From these stories, listeners can learn _________ lot about Morocco. 2. Many Moroccan folk stories _________ similar themes. 3. The father went away _________ a business trip. 1. What are some themes in Moroccan folk stories? 2. Why did the girl's father banish her to the desert? 3. What did the prince do at the end of the story because he was so happy? English Reading Practice – an article about Cats. English Reading Practice – an article about Fruit and Vegetables. There is another section of Really Learn English, where you can read short English stories for beginners. These are really simple stories with illustrations.